We are now proud to offer the highest level of ground transportation in Denver Colorado. With our 42-50 passenger Executive shuttle bus. This bus can accommodate 42 Passenger with rear and overhead luggage or 50 passengers with just overhead luggage room. All shuttle buses will come with corporate leather seating and reclining chairs. Multiple TV screens throughout all of our shuttle style buses, Arm Rests, Dome lights, and MIC capabilities. 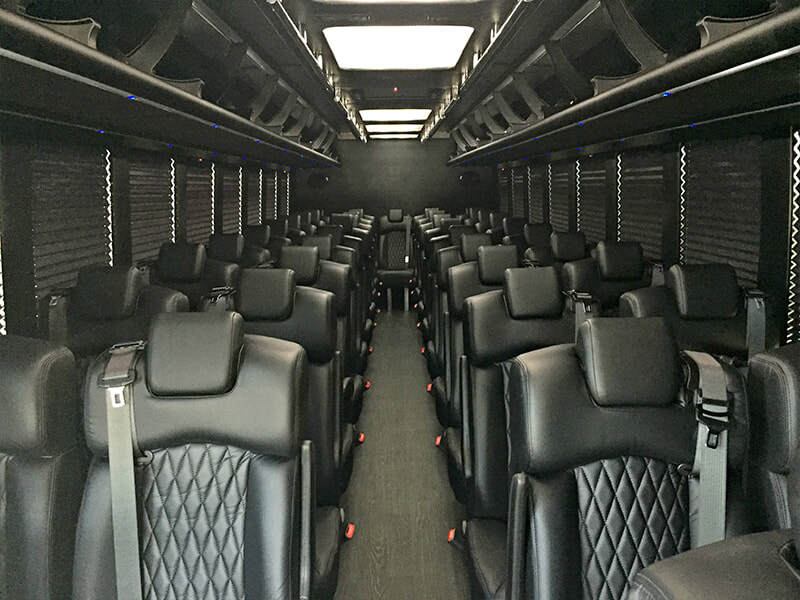 These are not regular shuttle buses, we go the extra mile to make sure that our Executive Mini Buses stand out from the rest, Lavish interiors for a large sized group. Our buses can be rented by the hour, by the day, or by the week. There is limit on the amount of time you can charter our buses. Similar to a Coach or Charter bus these vehicles can travel any distance and even outside of Colorado. Some of our buses have tables set up for more intimate conversations between each other. We offer only the highest class of coaches in or bus line up. 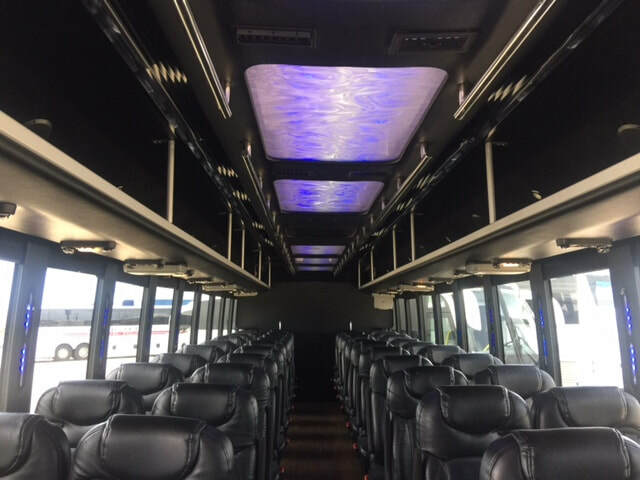 All buses are fully maintained at our facility in Denver Colorado, We perform vigorous inspections after every single chartered ride to ensure our customers safety and comfort. We have the highest levels of insurance coverage that go even about the state minimums. Our office personal is available during regular business hours to help coordinate and schedule your ground transportation for which ever event you could think of. Rest assured that our crew has been providing shuttle bus and coach bus rentals in Denver Colorado for years. We would love to service you, please call our office or send us an email. We can help arrange group travel with our forward facing coaches and Mini Buses. Some of the events we can rent for are as follows, Weddings, Conventions, Corporate Outings, Mountain Trips, Day Trips, Shuttle transportation, Site seeing tours, Brewery Tours, Festivals, Birthdays, Casino Trips, and so many other events that are not listed. We are the peoples choice for transportation in Denver. On time is our standard! Arranging Bus service in Colorado is an easy task with the help of our knowledgable staff. We have a huge demand for Coaches and Charter buses in Colorado so we urge our customers to make reservations as early as possible. Denver is one of the largest growing cities in the nation and we have some of the best tourist attractions right here in our back yard. See Red Rocks Amp, check out the Denver Art Museum, go on a brewery tour or just take a day trip to the Rocky Mountains See Vail, Breckenridge, Keystone, Aspen, Silverthorne, or take a bus to the Casinos at Black Hawk and Central City. Whatever it is we have got you covered.